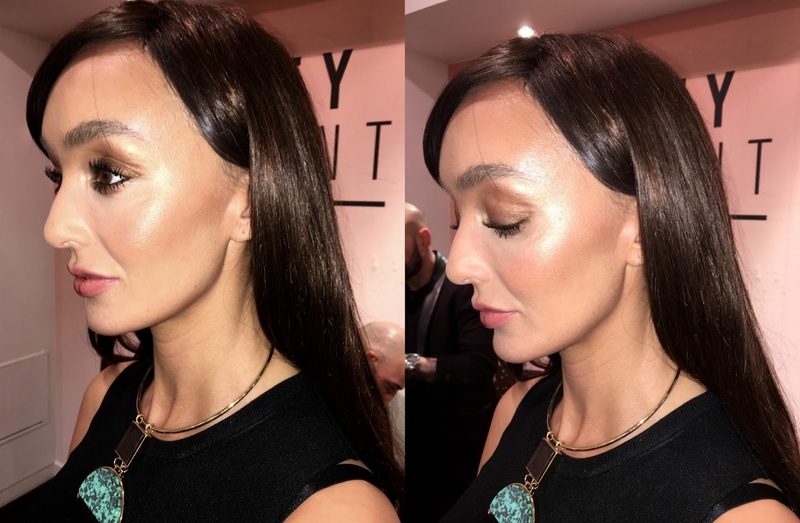 On Saturday, I got to attend a really exciting masterclass at Selfridges with Charlotte Tilbury's lead artist Nelson. I was so excited - Charlotte Tilbury is one of my absolute favourite makeup brands (if you follow me on Instagram, I'm sure that's pretty obvious haha! ), and so I was eager to learn some new tips and tricks. He went through the Golden Goddess look, which is Charlotte's most 'wearable' and universal look. Below is a picture of the complete makeup look - I'm sure you'll agree with me that it's so beautiful and glowing! SKIN PREP: Magic Cream, Magic Eye Rescue and Wonderglow were used to prep the skin. I was frantically jotting down any of the tips Nelson gave away in the masterclass, just to share with you guys! 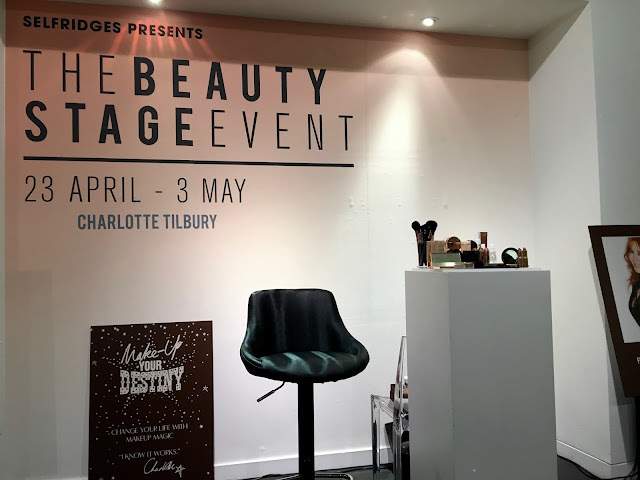 I think it's always really interesting to know what the professionals do, and learning more about the Charlotte Tilbury brand was great too. There is actually skincare infused into every one of Charlotte's products. So, not only does it make you look great, it also helps to nourish your skin! No wonder so many of her products have won awards. Nelson explained not to bring under eye concealer right up to the lash line - this can actually make eyes look more puffy, as it's good to have a little bit of redness there. It obviously makes things look a bit more natural too. If you're wearing your hair up, try adding your contour to the sides of your neck as this helps to slim and elongate the neck! Whilst contouring, Nelson started with a big fluffy brush for the initial application in sweeping motions on the perimeter of the face. Then, he went in with a more precise brush to add more definition. He stressed to tailor contouring to your own skin type and face shape - for example, darker skin doesn't need too much contouring as the shadows are generally more visible than on paler skin! I'd recommend going to the counter and asking for some advice if you're not sure how to contour your face - everyone has to do it slightly differently to get the best result! When filling in brows, starting with a lighter colour as a base all over the brow then going in with a darker colour to mimic hairs gives a really natural yet defined look and avoids the 'drawn on' brow look. Using a pencil eyeliner in the tightline (upper waterline) helps to give the illusion of longer and thicker lashes. So there you have it! I hope you learned something new from those tips - I definitely did! It was a really interesting class, and it was only £10 (redeemable against any CT products) so if you get the chance to attend a Selfridges masterclass, I'd highly recommend! I ended up purchasing the Very Victoria Matte Revolution lipstick - Charlotte was inspired by Victoria Beckham for this shade, and so I'm definitely excited to give it a try. Visit the Charlotte Tilbury site for more details, or just check out one of her counters in John Lewis' or Selfridges around the country.